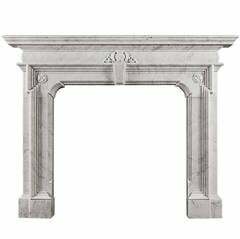 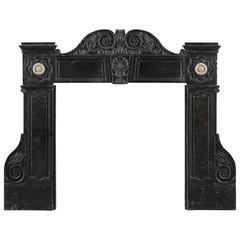 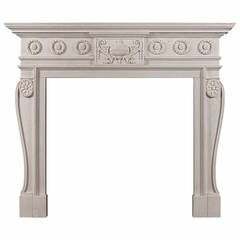 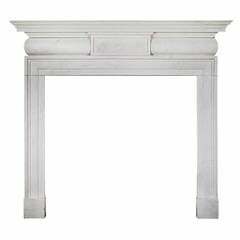 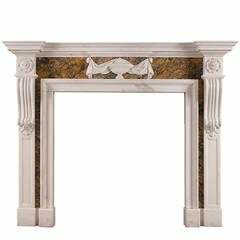 A late Victorian Carrara marble fireplace with arched moulded opening, headed by a corbel keystone flanked by foliate spandrels. 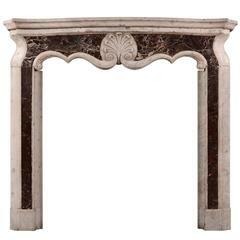 The heavy jambs inset with arched lozenges carved with posies of flowers suspended from ribbons. 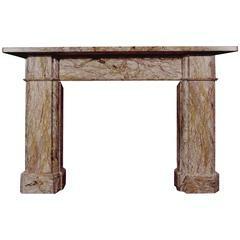 The whole supported on rectangular foot blocks.